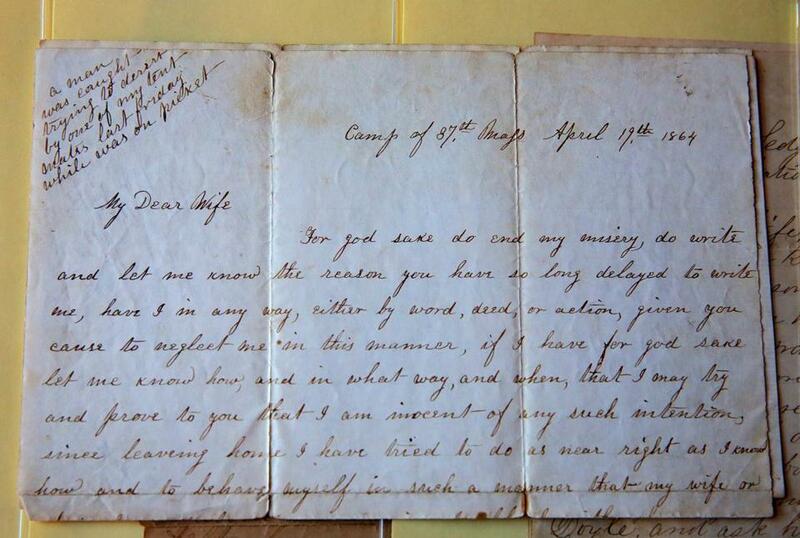 A letter dated April 19, 1864, written by Florence Burke. When Ellen B. Alden’s daughter came home from elementary school five years ago and asked for an old photograph of her mother for a class project, the former teacher went straight to the attic, where she sifted through a collection of boxes stored there by her parents when they moved to Hawaii 13 years before. She found a picture for her daughter’s assignment rather quickly. But she also stumbled upon something else: Buried in the clutter was a small leather box containing a trove of letters from her great-great-grandfather, an Irish immigrant named Florence Burke, to his wife and children. They were written, to her surprise, from the front lines of the Civil War. 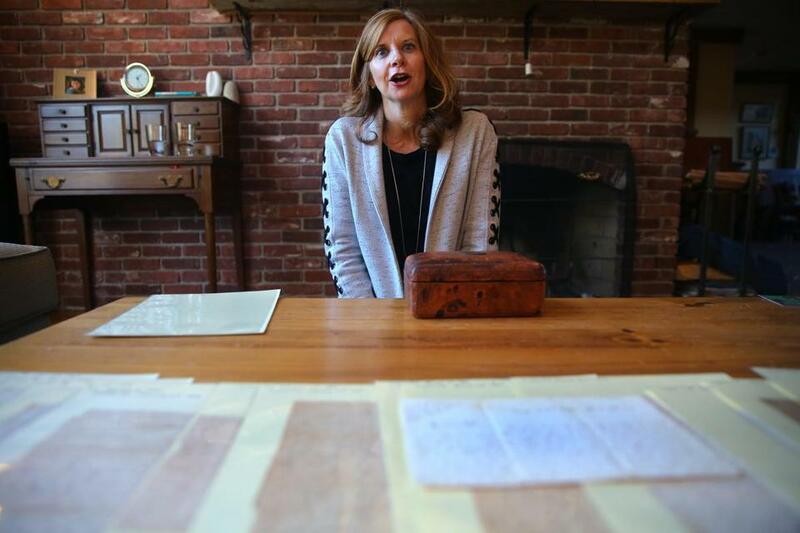 Now, after years of researching her family history and writing a historical fiction novel based on the 19 letters, called “Yours Faithfully, Florence Burke,” Alden has given them away. Last week, the Andover resident donated the letters — along with two photographs — to Boston College’s John J. Burns Library of Rare Books and Special Collections, during an event at the school. The library will preserve, archive, and digitize the letters so students and researchers can use them for years to come. The ceremony was cosponsored by The Éire Society of Boston. Burke, Alden’s ancestor on her father’s side, moved to Western Massachusetts from Ireland in 1848 to escape the Great Famine. At center in the left photo is Florence Burke, at age 19. It was taken circa 1840-1850. 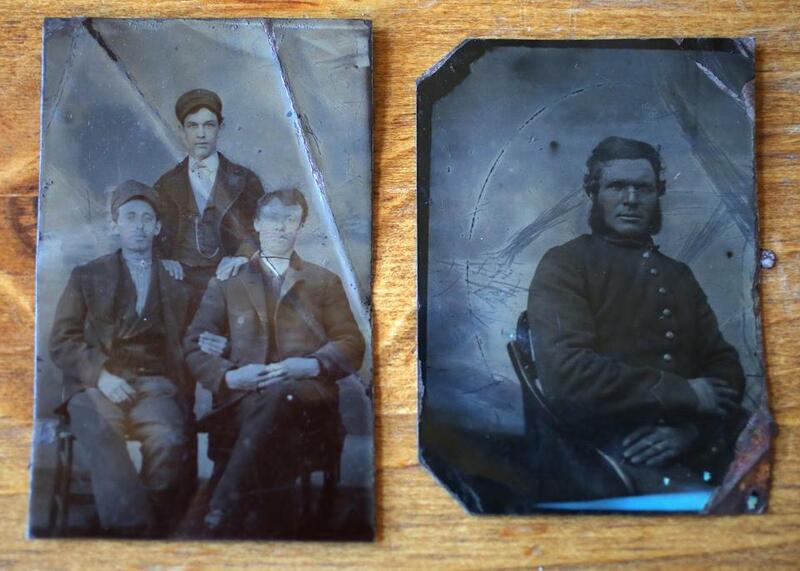 In the right photograph, he’s about 35 years old in the Union Army. He arrived here with his brother from County Cork, shortly after his wife, Ellen Daly, came to the United States with her own family. The couple would go on to have three children. A tenant farmer, Burke enlisted in the Union Army in January 1864, after the son of a wealthy banker traded Burke a small piece of land in exchange for Burke taking his place as a soldier, according to the Irish Times. Though he had his family’s best interests in mind, life certainly did not improve for Burke as he set out for war. While Alden described the letters as beautifully written, the words crammed on nearly every inch of some of the pages, they told the story of a man who made the ultimate sacrifice for his loved ones. The messages were penned from places like a camp near Brandy Station, Va., and capture Burke’s struggles and concerns as he fought as an Army private. Burke died in the Battle of Petersburg. This letter is dated Feb. 17, 1864, from Brandy Station in Virginia. The Burns library is “widely regarded as the most comprehensive of its kind in the world,” Boston College spokesman Jack Dunn said in a statement, making it the right place for the documents. Christian Dupont, a Burns librarian and associate university librarian for special collections, agreed, and said the school welcomes the addition of the letters to its historical artifacts. Alden, who earned a teaching degree from Pepperdine University, said her life’s path was rerouted after discovering these mementos, taking her to schools, libraries, museums, and organizations where she has given talks and hosted presentations about her family’s rich history. Spending so much time with the letters has worn them down. It’s also made parting ways with them bittersweet — though she knows they’ll be in good hands at “one of the best Irish studies colleges in the world,” where they can be shared with others. 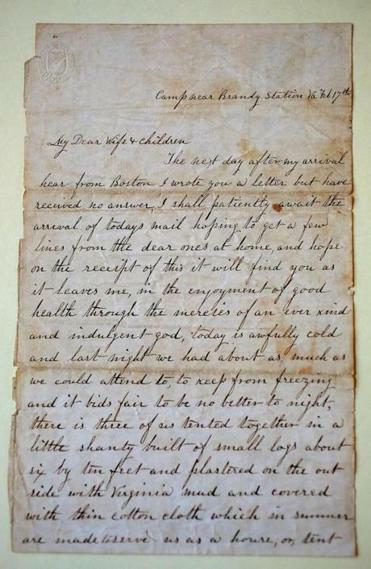 Ellen B. Alden found the letters and photographs in 2012 in her Andover attic.